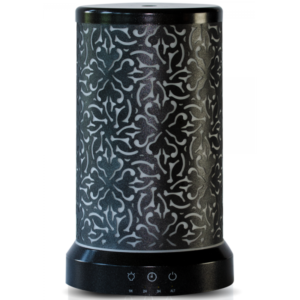 A Diffuser is a must have in today’s busy and toxic world. Not only only does this handblown glass look beautiful but it also has a valuable message. “Just Breathe”. 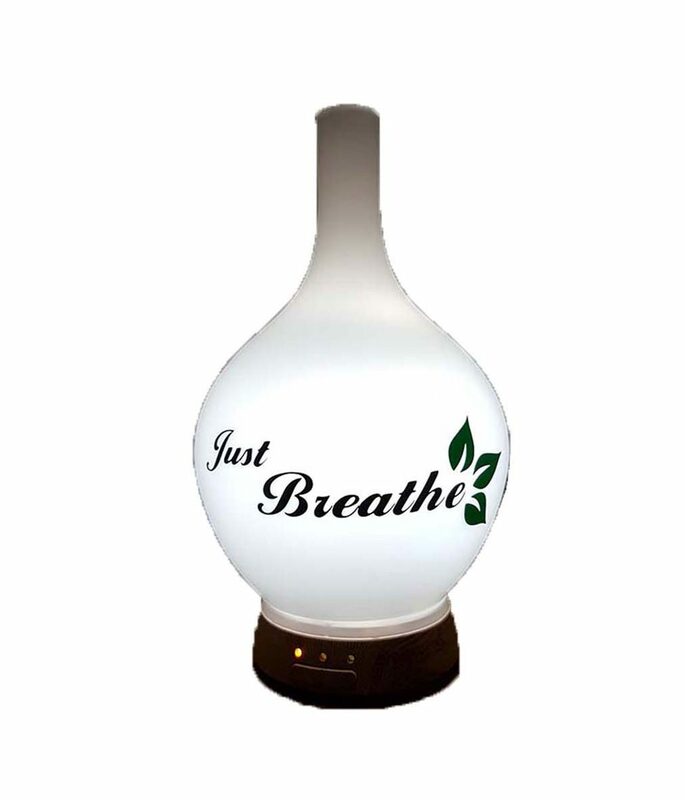 JUST BREATHE HANDBLOWN GLASS DIFFUSER. 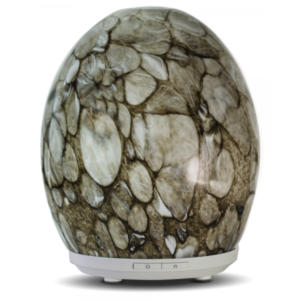 A Diffuser is a must have in today’s busy and toxic world. Not only only does this handblown glass look beautiful but it also has a valuable message. “Just Breathe”. When using your essential oils you are able to reap the benefits of a relaxing aroma or an uplifting scent and enjoy all of the positive health changes that can occur. In order to breathe properly you need to breathe deeply into your abdomen not just your chest. Breathing exercises should be deep, slow, rhythmic and in through the nose and out through the mouth. The most important part of deep breathing has to be regulating your breaths 3-4 seconds in and 3-4 seconds out. You will actually feel the tension release from your shoulders and neck. Repeat as often as you can throughout the day. You can do this anywhere and anytime. Add 4-5 drops of your favorite essential oil or essential oil blend. We highly recommend Citrus Delight Blend to lift your spirits or Night Time Lavender Blend to relax at the end of a busy day. Turn on, relax and Just Breathe. Automatic shut off when water reservoir is empty. Here is an article on the benefits of breathing deeply and how to do it. Breathing correctly is not only important for living a healthy life, but also to have a good mood and keep performing at your best. Let us look at the benefits of deep breathing and why you should make it part of your everyday living. It is one of easiest and most beneficial things you can do to improve your health.